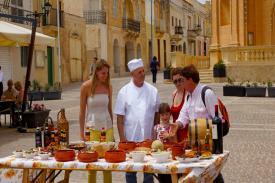 The sights and attractions within Malta are plentiful, but some of the best things to do there are completely free. Sightseeing there doesn’t have to seriously damage your wallet. From hidden corners of authenticity to must-see museums and sights, follow our guide to the top 7 things to do for free and save your pennies for ice-creams and souvenirs! 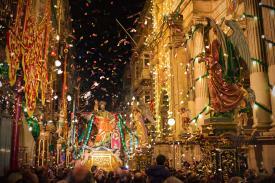 The Maltese know how to party - they have had a lot of practice! Carnival celebrations were introduced by the Knights of St John way back in the 1400’s, where they began holding pageants, tournaments, and banquets to honour the simple joys of living. 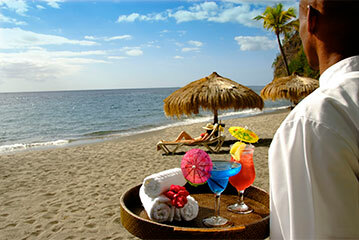 Carnival is now celebrated mid-February to early March, and it’s five glorious days of rejoicing, dancing and fun. At the heart of the party is the capital Valletta, where marching bands beat a pulse through the city and the streets come alive with a vibrant parade of fantastically elaborate floats. 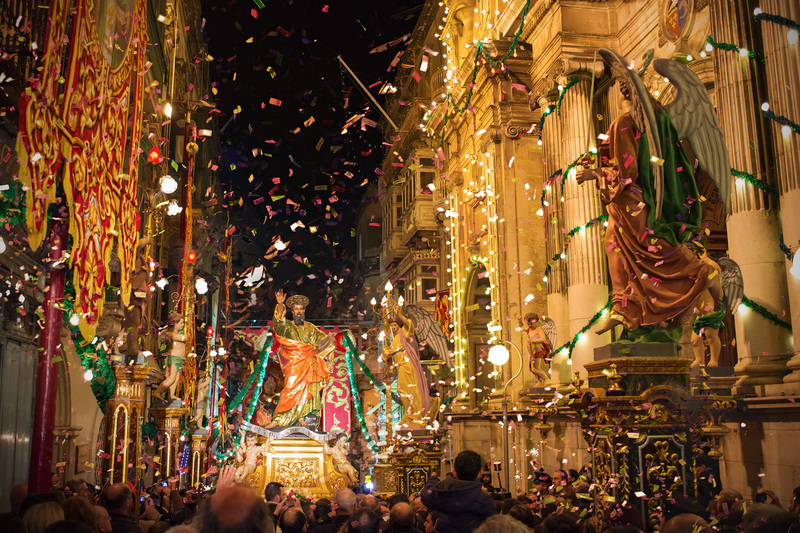 Revelers come from far and wide to enjoy these festivities and traditions which are central to Maltese life; it’s an enormous, free party and you don’t want to miss it! Each parish hosts its own Festa or religious feast, celebrating the glory of its very own patron saint. There are a total of 80 held throughout the summer so even if there's not one going on in town when you're visiting, you’re sure to find one somewhere. Expect loads of food and drink, fireworks, confetti, statues, banners, music and merriment when the whole village erupts with life and colour. The atmosphere is truly electric and it’s a joyous opportunity to enjoy a local tradition and experience the spirit and passion of the Maltese people. You’re sure to be welcomed in with open arms, though unlike most parties you’re not expected to bring anything, well, except for fire in your heart and a smile on your face! Boasting a truly tantalising assortment of caves, reefs, and wrecks and owing to its privileged position right in the heart of the Mediterranean Sea, the Maltese islands offer some of the best scuba diving opportunities in the world. Obviously, you’ll be wanting to make the most of your trip but there’s no shame in being budget conscious, so thankfully you can enjoy the same abundance of aquatic life with a simple snorkel, at a fraction of the cost. 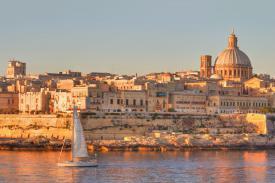 The calmness and clarity of the waters that surround the Maltese archipelago make for excellent visibility. 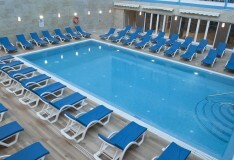 This means that even leisurely bobbing about on the surface allows for uninterrupted views of the underwater world. Now this does require a little equipment and therefore isn’t technically free, but it is cheap and you can pick up a mask and snorkel for next to nothing at most Maltese village shops. The Blue Lagoon with its crystal clear waters is probably one of Comino’s most popular diving and day trip sites. In high summer it can often get too busy to enjoy but thankfully, every inch of this tiny island's coastal waters are teeming with things to see. Azure Window & Blue Hole. Whilst crowds gather on land to enjoy this geological wonder, (another essential free thing to do) there is just as much to amaze and enthrall below the surface in the waters that surround it and you’ll find lots of interesting caves to explore. Whilst you’re there, take a quick dip in nearby Dwejra Bay with its rich and diverse wildlife habitats and fascinating underwater scenery. Marsascala, Malta. Across the mouth of the harbour there is a reef stretching out to sea which is a safe haven for a variety of fish and it’s a very picturesque spot for a snorkel, just mind the passing boats. 3. 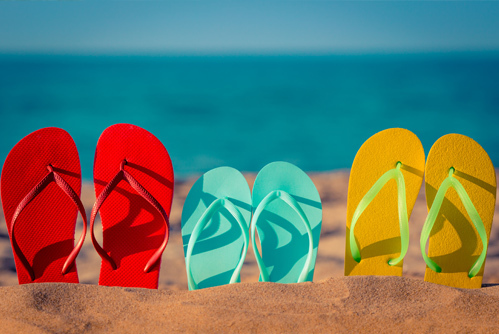 Kick back on the sand & do nothing, for nothing! 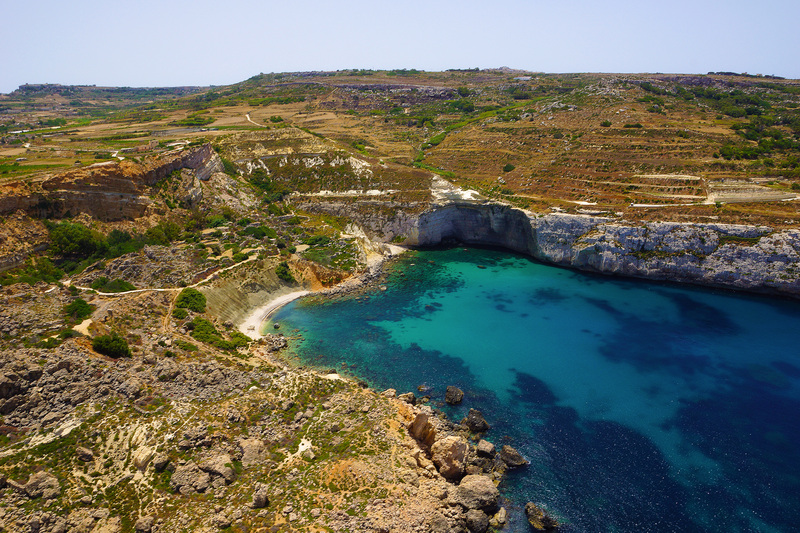 Malta is blessed with some 196.8 km of seriously spectacular coastline, along which you’ll find bays, beaches, creeks and harbours; there’s even an inland sea! Best for swimming would be the Blue Lagoon, though this is the worst kept secret. If you enjoy pristine white sands and water as clear as glass, it’s an essential excursion but it’s best to visit early morning or late afternoon to avoid the masses. Golden Bay on the northwest coast with its gorgeous glistening curve of sand, is the ideal spot to throw down the towel and sun worship. 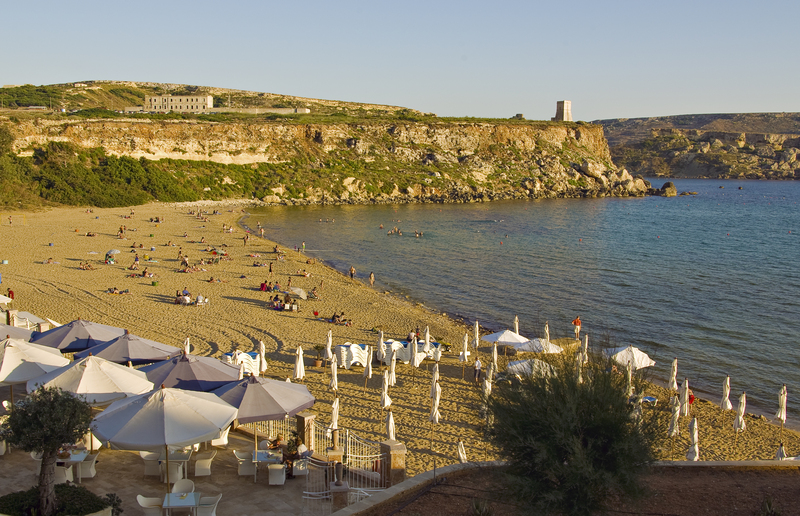 MellieÄ§a Bay or Ghadira Bay is Malta’s longest stretches of sand, it’s the perfect postcard beach. The sand slopes very gently into the shallow warm waters which are suitable for swimming most of the year. Fomm ir-Rih is not only Malta’s wildest and most secluded beach but also one of its most beautiful. The journey is arduous but fortune favours the brave so, if you can find your way along the bumpy track in the summer’s heat, you’ll be well rewarded. Perched on top of a plateau Malta's first capital, Mdina which is also known as "The Silent City", has been inhabited since the Bronze Age. This fascinating walled city is a living museum certain to transport you back in time - and you won’t pay a penny for the privilege. Lose yourself in its labyrinth of narrow cobbled streets and atmospheric alleys, unravel its history and hidden treasures, impressive palaces, elegant buildings and unique architecture. It’s a genuine pleasure to explore, so quiet and peaceful and unlike anywhere you’ll have been before. 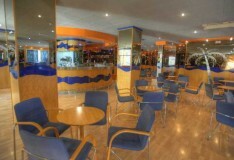 You’ll find plenty of delicious eateries dotted around the city including the famous Fontanella Tea Garden. Granted a stop here would involve a cash transaction of sorts, but no one can stop you from inhaling the sweet aroma of its sumptuous selection of cakes and pastries as you glide on by. 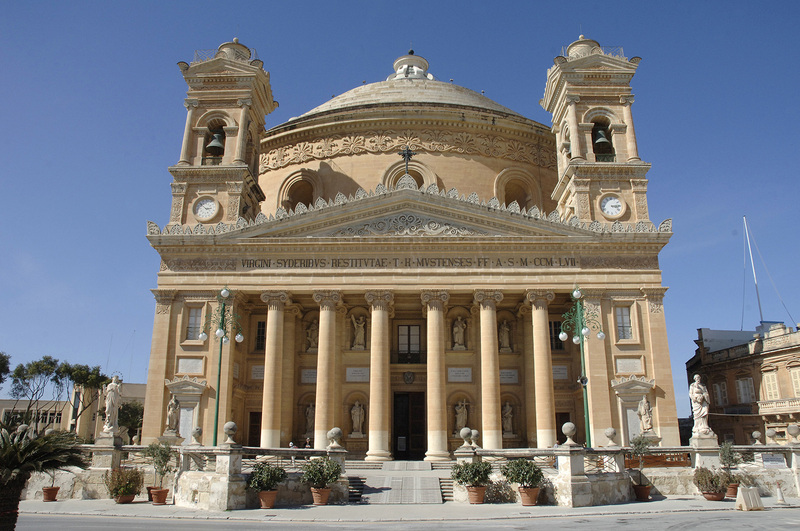 Malta is home to over 360 churches and Mosta is possibly the most impressive with its vast vaulted roof visible from most parts of the island. It is also quite probably the luckiest; during an afternoon air-raid on the 9th of April 1942 a Luftwaffe bomb pierced the roof as a congregation of more than 300 people awaited mass. Incredibly, it did not explode. You can still see the bomb displayed in a small museum at the back of the church but don’t worry, it’s just a replica! Mosta’s dome is the 3rd largest unsupported dome in the world and if that doesn’t impress you, it’s stunning blue, white and gold interior will knock your socks off! Admission is, of course, free! 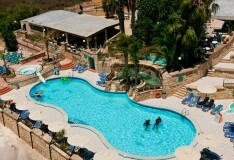 Built on the highest point of the city, these splendid gardens offer a view of Malta that you cannot get anywhere else. 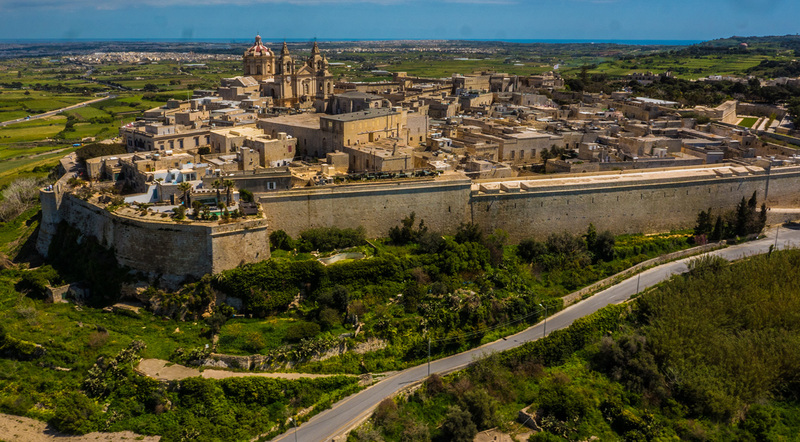 They were built back in the 16th century as a relaxing haven for the Knights of the order of St John and there are multiple viewpoints from different outlooks around the garden reaching out over The Grand Harbour, the breakwaters, and the Three Cities. It’s the perfect place for an epic panoramic. Take some time here away from the hustle and bustle of the city and kick back like a knight, rest awhile amongst the terraced arches, sculptures, statues, fountains, and flowers. Time it right and arrive around noon and you’ll get to see the cannons of the saluting gallery go off - another great photo opportunity! 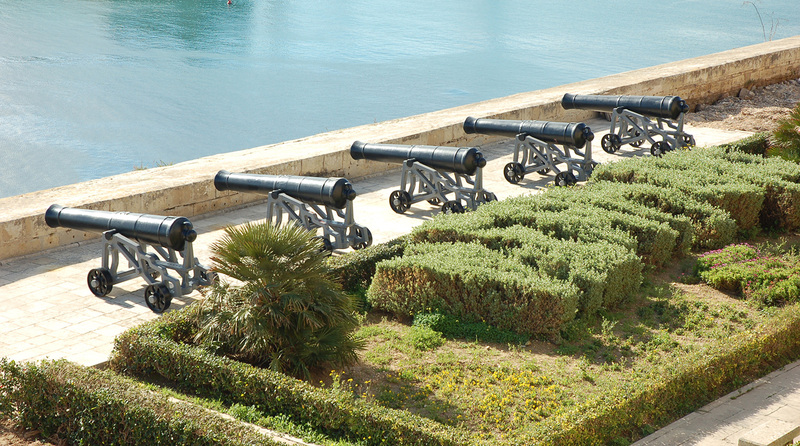 For over 200 years Valletta’s fortifications kept invaders at bay and whilst the thick stone walls have changed very little over the centuries, a lot has changed within them. The city is a World Heritage Site and easily one of the most beautiful in Europe. Whilst you could begin a walking tour of these impressive walls anywhere, the City Gate is the most fitting. It is fairly obvious that this is not the original gate, this will, in fact, be the 5th Valletta has had in about 450 years and was designed by the same architect that created the London Shard. Head down Republic Street, Valletta’s central road, which will take you from The Triton Fountain to Fort St. Elmo. Aside from this general direction, just get lost! Lose yourself in one of the world's most concentrated historical sites. Turn after glorious turn will bring you through narrow side streets to museums, palaces, and grand churches, past Baroque landmarks include St. John’s Co-Cathedral, via quaint little shops and cafes.